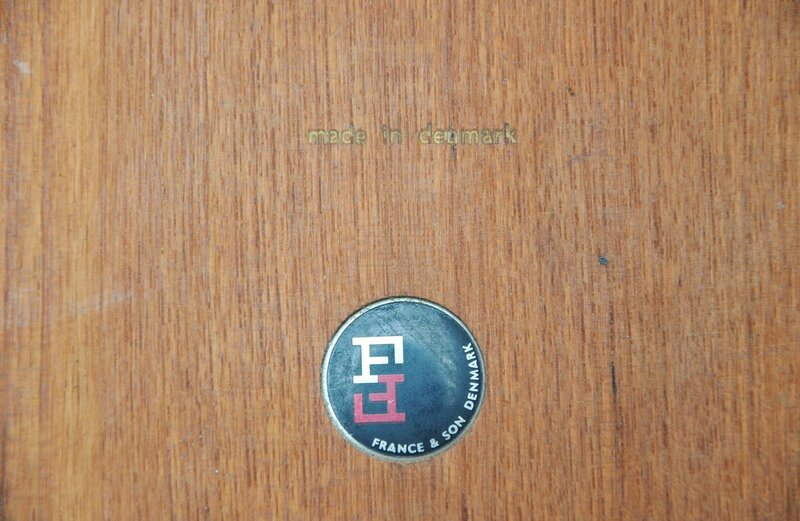 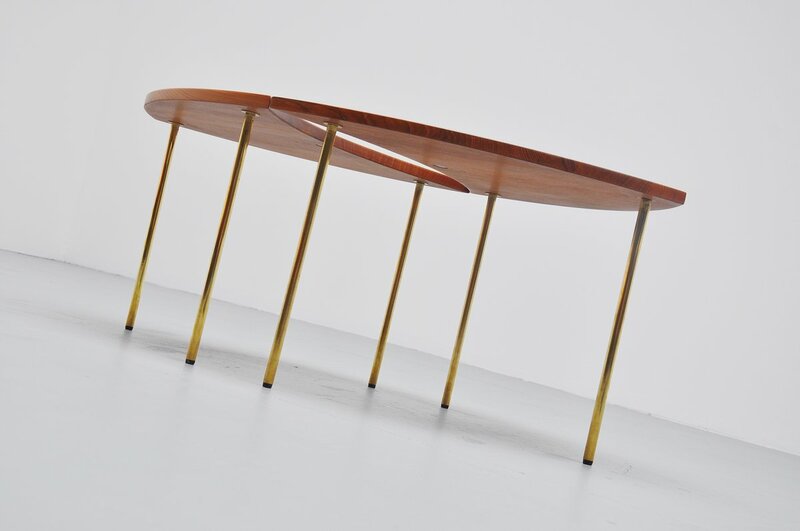 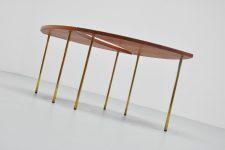 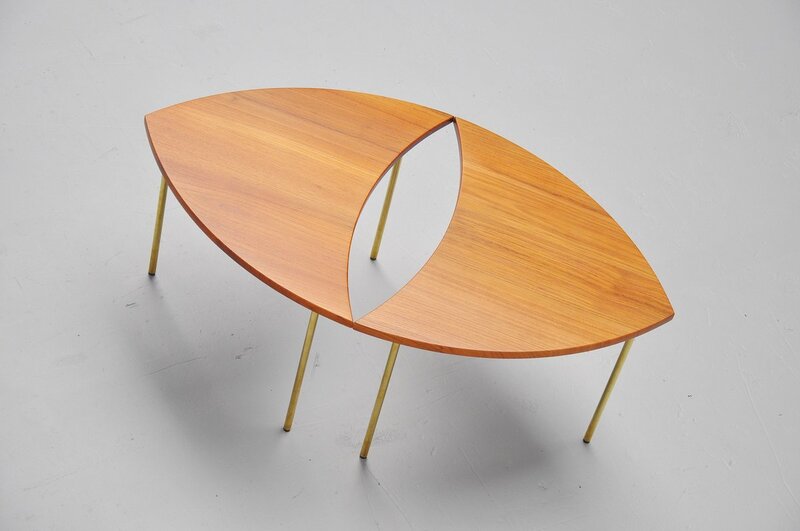 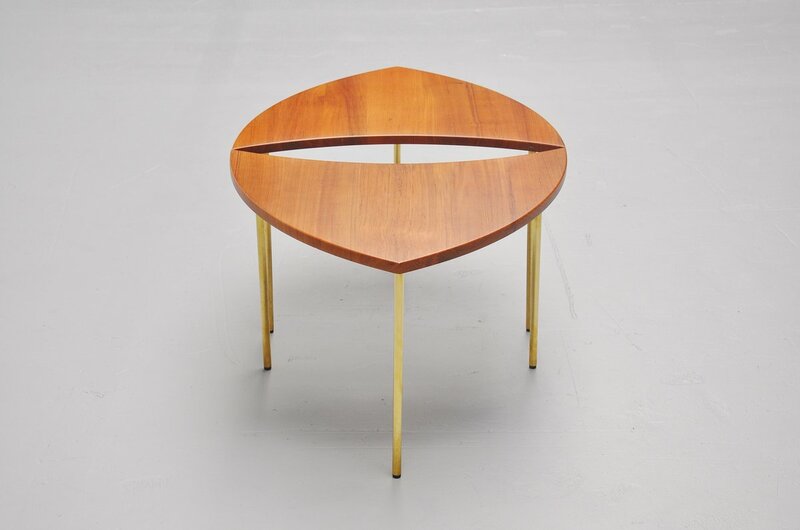 Very nice pair of side tables designed by Peter Hvidt and Orla Molgaard Nielsen for France & Son, Denmark 1952. 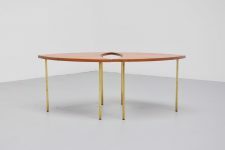 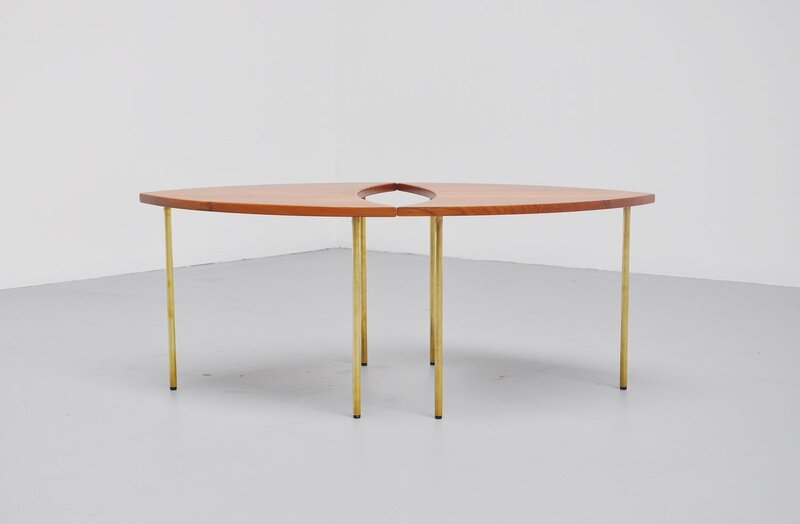 Very nice solid teak tables, nicely made with dovetail connections on the sides and brass leggs. 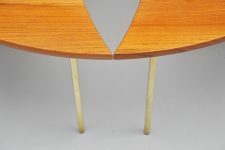 The table tops are fully restored and in excellent condition, the leggs are clean. Very nice set of tables. 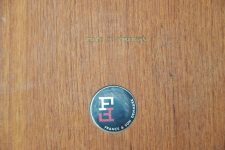 Marked with metal tag and stamp accordingly.